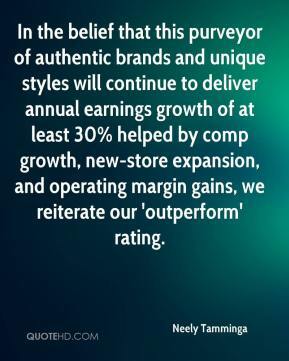 In the belief that this purveyor of authentic brands and unique styles will continue to deliver annual earnings growth of at least 30% helped by comp growth, new-store expansion, and operating margin gains, we reiterate our 'outperform' rating. 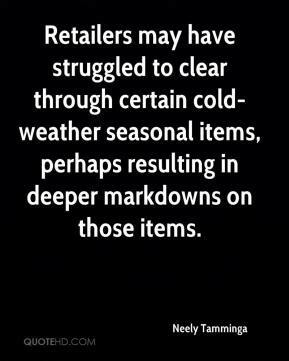 Retailers may have struggled to clear through certain cold-weather seasonal items, perhaps resulting in deeper markdowns on those items. When you put a brand new flat-screen in your living room or bedroom, the old furniture becomes outdated. A lot of people are updating their furniture and decor to match the TV itself. 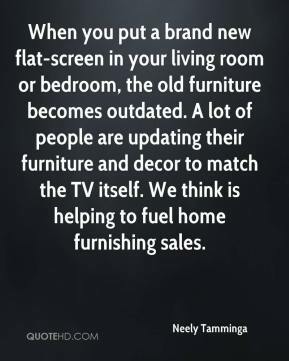 We think is helping to fuel home furnishing sales. In terms of market dynamics, there are many hands in the market share grab. 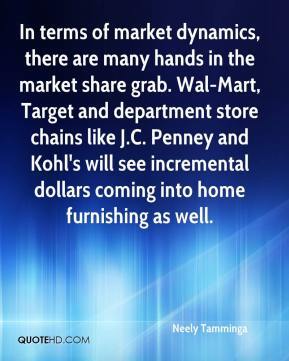 Wal-Mart, Target and department store chains like J.C. Penney and Kohl's will see incremental dollars coming into home furnishing as well.